Alfa Romeo 155 Q4 interactive buyers guide. 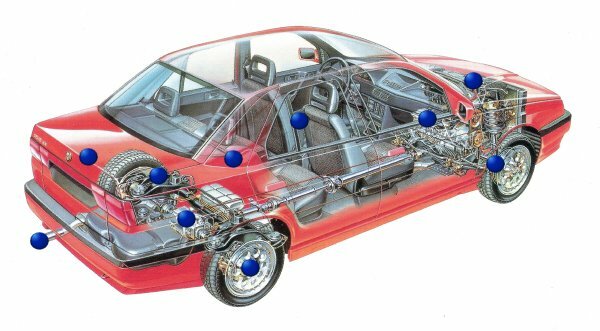 Click on the blue dots to open up information windows about the various components of the Alfa 155 Q4. There is information on all the major components of the car including engine, drivetrain, interior and braking. To find out what each dot represents, hover your cursor over the dot. If you have any information you would like to share on this page, please mail it to Buyers Guide and we will publish it as soon as possible.